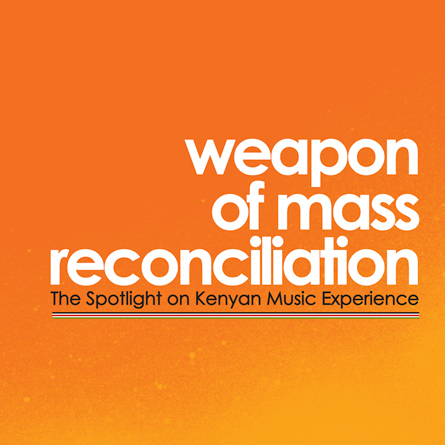 In the wake of the Kenya’s post-election crisis of early 2008 when the country was divided along ethnic lines and rivalries, the Spotlight national tour came at an opportune time contributing to the various reconciliation building efforts in the country. This weapon of mass reconciliation was used to promote ‘unity in diversity’ by taking musicians and music from different regions to introduce them on new turf in an effort to create a better understanding and tolerance of ‘similarities in differences’. Over a period of six weeks, the tour crisscrossed the main urban centers of Nakuru, Eldoret, Nyeri, Meru, Kisumu, Kakamega, Machakos and Mombasa on a mobile stage truck, with concerts taking place in open public grounds every weekend. The tour is distinguished as being the first ever national tour of afro-fusion music in Kenya. The project has left an indelible mark on the musical scene in Kenya by reaching out to diverse audiences across the country in building bridges and respect between culturally distinct communities, as well as developing broad local interest in traditionally rooted modern music. This CD/DVD compilation documents the Spotlight on Kenyan music journey and directs the spotlight on a selection of the project’s successful stars. Spotlight on Kenyan music is an initiative of Alliance Francaise de Nairobi with the support of the Embassy of France and Total Kenya Ltd and in partnership with the Ministry of National Heritage and Culture. The project’s Steering Committee is led by the veteran Kenyan music producer, Tabu Osusa, who is supported by leading musicians including Achien’g Abura, Suzanna Owiyo, Suzanne Gachukia, Iddi Achien’g, Abbi and John Katana. The Spotlight on Kenyan Music national tour 2008 was supported by the Ford Foundation Office of Eastern Africa.